Kate delivered exactly what I wanted. She was responsive to all my suggestions and kept to a tight deadline. I will definitely hire her again as the need arises. I highly recommend Blue Sun Designs! Kate was so fun and easy to work with. She had great ideas and created an awesome logo for our non-profit! I appreciated her communication throughout the project and her turn-around time couldn’t be beat. 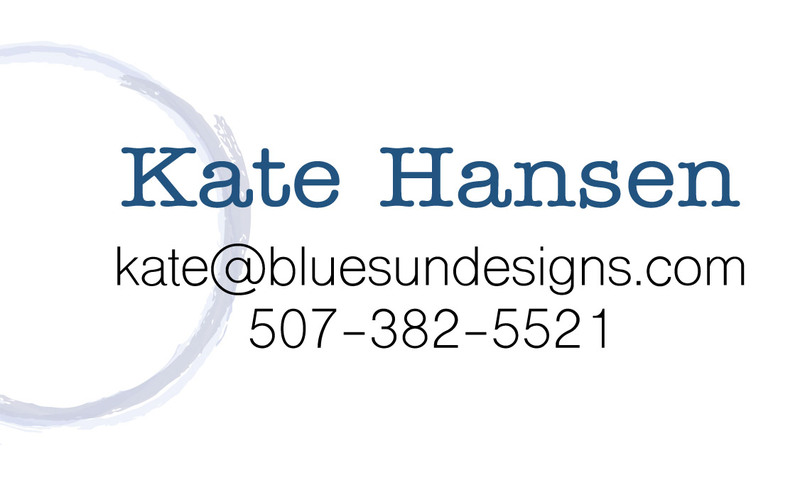 Many, many reasons to choose Blue Sun Designs! Kate with Blue Sun Designs not only created an amazing logo better than I could have ever described, she did it in a very short amount of time communicating along the way what to expect! I was nervous to let someone take over my vision, but Kate did an amazing job! It was so easy to communicate and she gave me exactly what I needed. I’m very grateful! Kate was very prompt and attentive to all our design needs. We could not be happier with the logo for our first ever PTO Color Run. The beautifully designed logo will set the stage for our inaugural event. Kate did a great job for us creating a beautiful annual report. The report is going to help us tell our story in a way we haven’t been able to before. She’s creative, organized and turns work around quickly. Couldn’t be happier!